As patrons count down to the iconic event, which kicks off Thursday 23rd August and runs to Sunday 26th, the beautiful festival site in the Amamoor State Forest is all set for the packed four days. Months of preparation by an army of dedicated volunteers have ensured that the site is ready to welcome the expected 22,000 patrons. 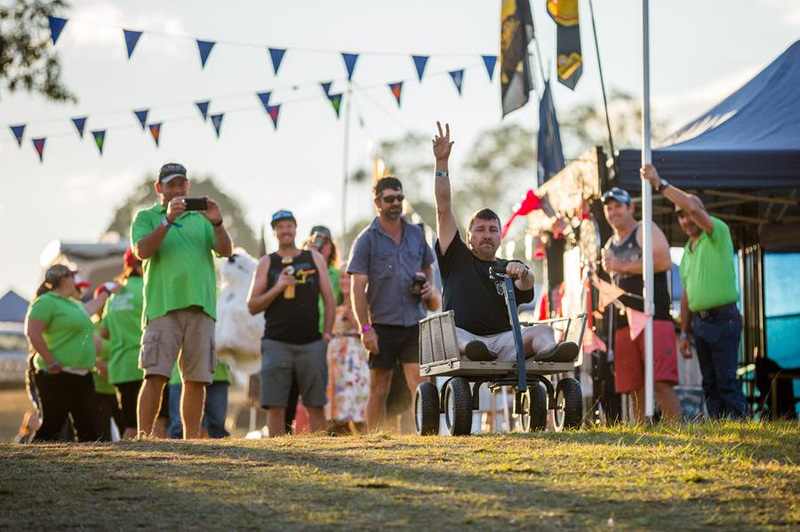 The Muster welcomes all ages and offers free entry to children under 13, making it the perfect weekend escape with the family. Dedicated patrons have begun flooding the camp grounds in preparation for next week’s festival. 37-time Golden Guitar winner and Aussie legend LEE KERNAGHAN will draw massive crowds when he rocks the main stage at 8:30pm, headlining on Friday. 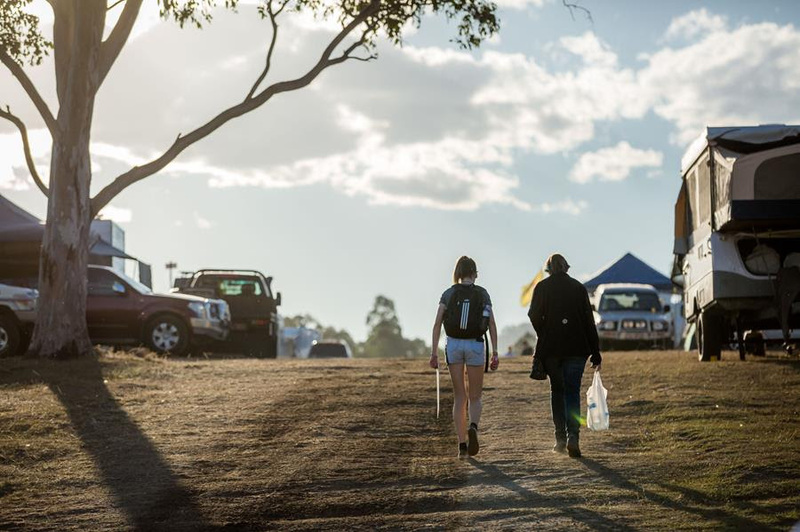 Be there on the hill with thousands of music lovers for a huge celebration of Aussie music. Muster’s first ROOTS ‘N’ ALL SHOWCASE – Muster Club, Friday – featuring a swag of well renowned Australian exponents of the Americana genre. A laid-back vibe rooted in the authentic origins of country music with guitars, fiddles, mandolins and dobros. TALENT SEARCH… the competition with a trip to Nashville as the mega prize is the platform for our country’s best undiscovered artists. Come along and discover an entirely new generation of musicians to fall in love with, and vote for your favourite artist in our People’s Choice Facebook poll during the festival. You can catch JOHN WILLIAMSON throwing it back to True Blue at 6:00pm on Friday evening at the main stage, as well as premiering songs from his brand new album, exclusively at the Muster. And yet another one-of-a-kind experience will rock the festival at 9:10pm on main stage, Saturday, with BECCY COLE also launching her brand new album at the festival. Cold Chisel legend IAN MOSS and Grammy Award-winning ALBERT LEE (UK) will bring a taste of the blues to the Vox Guitar Jam on Saturday at 2:30pm, as well as to their own sets in the Blues Bar. Adding a new flavour to the line-up this year is the MELBOURNE SKA ORCHESTRA, a fun-loving, 26-piece big band. No act like this has ever graced the Muster stage before – prepare to be surprised and entertained Saturday night on Main Stage. The not to be missed festival finale, SONGS I WISH I’D WRITTEN. A bunch of Muster headliners including BECCY COLE, SARA STORER, DREW McALISTER, MELINDA SCHNEIDER and BRAD BUTCHER will take to the stage to perform their all-time favourite songs from any genre, any era, on Main Stage on Sunday. Thursday night will get the party started with a P!NK tribute night in celebration of her Beautiful Trauma Tour, which just last week rocked its way around Australia. So if your heart is still racing from the excitement from having the megastar in your city, you can wear your brand new attitude down at the Crow Bar, downtown Amamoor.